I usually write in silence. There are a few exceptions – albums I can play to put myself into a kind of writing trance. An album I’ve been using this way since it came out in 1994 is Portishead’s Dummy. Maybe it’s not a coincidence that the theremin, the musical instrument at the centre of my first novel, features (or a synth’d version of it does, at least) so strongly in Dummy’s opening track Mysterons (listen for the theremin sound kicking in at 0:12). Music from a theremin can sound like a human voice, or an electronic scream; like an alien spaceship imagined for a B-movie soundtrack, or like the low thrum and moan of a cello, warm with wood and resin and gut. 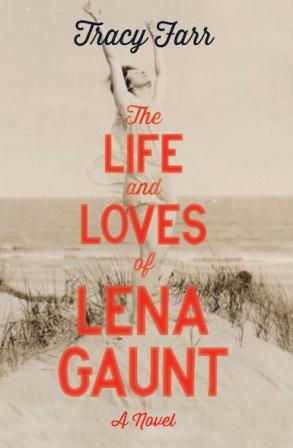 My first novel, The Life and Loves of Lena Gaunt, has been described as a fictional memoir. It’s the story of a musician, Lena Gaunt, and the instrument she becomes famous for playing: the theremin, one of the first electronic musical instruments, invented in the 1920s, and played without touching. Long before I started to write The Life and Loves of Lena Gaunt, I jotted notes about its main character: a musician, Lena Gaunt, born 1910. I didn’t know much more about this character I’d started to invent from thin air, but I figured she’d play the cello. I’d become interested in writing a cellist character after a friend introduced me, in the 1990s, to Yo-Yo Ma’s recording of Bach’s Six Cello Suites. It was a strange and beautiful revelation to me. I’d grown up on a diet of pop, fed by commercial radio, filtered through the great flat suburban sensibility of Perth in the 1960s and 70s. By the time I was living in Vancouver, in the 90s, my listening had shifted to PJ Harvey, Throwing Muses, Breeders, Nirvana, Portishead, Pixies and Pulp. Ma’s rendering of the Bach suites, the sound of the unaccompanied cello, cut through the noise; it resonated, with an eerily human voice. My Lena Gaunt, I imagined, would be a perfect musician, flawless, precise, like Ma. In the novel, Lena puts her cello aside, aged 17, and takes up the theremin. It’s another musical reference I chart back to my time in Vancouver, where I first saw the theremin played live when Pere Ubu toured their 1995 album Ray Gun Suitcase. I recall standing close to the front of the stage, mesmerised not just by the sound, but by the look (the action, the physicality, the dramatics) of the theremin; you can hear and see it when Pere Ubu play Red Sky. It was Clara Rockmore, the first virtuoso player of the theremin, who provided the strongest inspiration for my fictional Lena’s theremin playing. I watched film footage of Clara Rockmore playing pieces like Saint-Säens’ Le Cygne and Ravel’s Habanera, both of which I have Lena Gaunt play in the novel. Again, it was the look and physicality as much as the sound that attracted me, and that I aimed to recreate as I wrote. And while she inspired elements of Lena Gaunt, I think of Clara Rockmore as providing a reference, rather than a model, for Lena. A low hum runs through this book, the hum of modernity and electronics, the low background hum of the universe; the hum of the theremin. I was looking beyond Clara Rockmore and her theremin for that low hum. I was inspired by women working in mid-twentieth-century electronic music – like Daphne Oram and Delia Derbyshire – and by tracks like Derbyshire’s (as part of the band White Noise) Love Without Sound. Lowness echoes through the novel. A very early note I made while writing it references Bowie’s 1977 album Low, the first album in his Berlin Trilogy. The drone and chant and length and lift of Warszawa – Track 1 on Side 2 of Low – rang through my mind often while I wrote. Etherwave (which I rechristen Aetherwave in the novel) was an early name for the theremin (and is the most widely available model of modern theremin), and that prompted a clear link in my mind, a tumble of ideas from (a)ether to anaesthesia to self-medication. In the novel, Lena Gaunt smokes opiates; she uses for recreation, but also for relief. Bowie’s substance-soaked Low was a reference point. I wanted drug use to sit lightly in the book, to be part of Lena’s character while not defining her, and I had in mind other ether/anaesthesia references, like PJ Harvey’s beautiful, sparse – and yes, (a)ethereal – When Under Ether. I have a complicated relationship with the sea, and it features a lot in my writing. The ‘wave’ in etherwave/aetherwave refers to sound waves, but I also wanted ocean waves present in the novel, and I wanted those waves to interact. An early musical touchstone while I wrote was the Patti Smith Group album Wave, and the track I’d go back to again and again was Dancing Barefoot. Beyond the wave resonance of the album title, this track is full (like my novel) of benediction, addiction, strange music and heroin(e), connection and its lack. While I was revising the novel, I saw on television a live performance by Sam Hunt with David Kilgour and the Heavy 8s of Hunt’s poem Wavesong. There was Hunt chanting the poem in his unmistakable (for New Zealanders) voice over Kilgour’s equally unmistakable guitar – and that performance, that driving, circular, resonant, wave-filled track, was lodged in my brain. I had only a memory of it as I wrote, though; I didn’t hear the track again until it was released, four years later, on their 2015 album The 9th. The particular heat of a Perth summer, persevering into autumn, hangs over the section of the novel that’s set in the summer and autumn of 1991. Clara Rockmore played Gershwin’s Summertime on the theremin, and I recently found another wonderful theremin performance of it by Armen Ra. But it wasn’t only Summertime that played in my mind while I wrote; it was, more often, Too Hot To Move, the track that opens the 1989 album The Black Swan by Perth band The Triffids, and shimmers with the heat haze of a long Perth summer. Tracy Farr is a recovering scientist and reluctant swimmer who writes novels and short stories. She owns an Etherwave theremin that she’s still learning to play. She’s Australian, but has lived in New Zealand for the past twenty years. Her debut novel The Life and Loves of Lena Gaunt (Fremantle Press 2013, Aardvark Bureau 2016) was longlisted in 2014 for the Miles Franklin Literary Award, and shortlisted for the WA Premier’s Book Awards and Barbara Jefferis Award. Her second novel, The Hope Fault, will be published in 2017. Find her on her website, or on Twitter @hissingswan. Hands up if you know who Delia Derbyshire is. Don’t put them down yet. Keep them up, waft them gently and imagine you are conjuring a shimmering singing sound. That’s how you play a theremin, one of the first electronic musical instruments. Theremins are an abiding inspiration for my guest this week; her novel centres on the life and loves of a cellist who becomes famous in the 1920s and 30s for playing this eerie, theatrical device. Her soundtrack is an ethereal mix of Portishead, PJ Harvey, David Bowie, the classical cellist Yo-Yo Ma, and of course Ms Derbyshire, one of the pioneers of the BBC Radiophonic Workshop in the 1960s. And I also must mention that the novel (The Life and Loves of Lena Gaunt) has been nominated for several awards. She is Tracy Farr and she’ll be here on Wednesday with her Undercover Soundtrack.